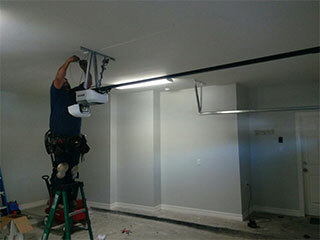 Modern garage doors are now equipped with the latest features that offer safety and security. Some homeowners upgrade their doors to suit a newly renovated home, or to simply take advantage of the performance of newer models. Did you know that a high-quality overhead door can increase the value of your home? Modern doors are not cheap, and you can consider them your investment. To take good care of your investment, wouldn’t you do everything it takes to extend its life so you can maximize its worth? Why Is Maintenance That Important? To make the most of the largest moving door of your home, why not consider garage door maintenance? Some are a bit apprehensive about having this service, believing there are many companies providing emergency repair. Maintenance is well worth your time and spending, knowing that it is the key to ensuring the door’s safe and smooth operations. Reports of accidents and injuries may not be new to you, and the best way to prevent these is to regularly inspect the door. If you don’t have the luxury and time to do this, devoted specialists at Garage Door Repair Stillwater can do it for you, and you can benefit from a professional level of service. If you want to extend the life of your investment, you need periodic maintenance. This service involves regular inspection of all moving parts. By doing this, problems are detected before they get worse. Damage to garage doors is caused by faulty parts, and sometimes, it is too late before they are discovered. Our garage door maintenance service includes thorough inspection that cares for the entire system’s life. After rigid inspection, we make necessary adjustments, such as the garage door springs, rollers, chain, safety sensors and the others. Hinges, brackets, drums, and couplings are tightened when loose, and the rollers, bearings, and brakes are lubricated. These processes require someone with the right skills and tools. Certainly, you can perform a visual inspection from time to time, but nothing beats the services rendered by someone with professional knowledge. Don’t take chances. Garage Door Repair Stillwater offers affordable maintenance plans, so call us today for details.